The latest Audit Bureau of Circulations (ABC) figures have been released for magazines and comics covering June to December 2013 and once again they make for interesting reading. John Freeman goes into it in more depth on his excellent Down The Tubes website (http://downthetubes.net/?p=14099) but there's a few things I'd like to mention here. Egmont's boys mag Toxic shows an increase from 47,000 to 53,000 since the same period in 2012. Its new rival Mega, has sales around 30,768. Doctor Who Adventures has dipped to an average of 28,443, and Ultimate Spider-Man is fairly stable at around 28,709 sales an issue. Girl's mag Barbie had an average fall from 50,000 to 42,907 in twelve months, with Disney Princess falling from 62,506 to 51,649. Egmont's Hello Kitty has risen from 31,000 to 37,020, and Monster High is up from 32,000 in 2012 to 35,579 in 2013. For the nursery market, Redan's Fun To Learn - Peppa Pig had an impressive average of 86,878 in 2012 and rose to an even more impressive 98,922 in 2013, making it currently the best selling children's title on the stands. 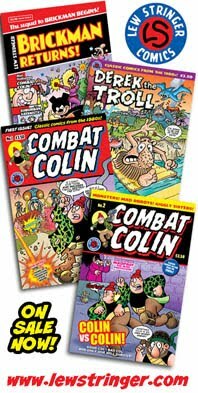 In the diminished children's traditional comic market, the new Dennis the Menace Megazine has average sales of 20,502, whilst The Beano has a slight drop from 36,000 in 2012 to 32,000 in 2013. All things considered, I still think The Beano is holding its own. I know a few critics were predicting "Dandy style" drops in circulation due to The Beano's revamp bringing in several of The Dandy's artists, but that clearly hasn't happened. So much for the theory that it was mainly the contributors who caused The Dandy's fall. Yes, there is a sales decline, but it's comparable to that of other titles and is not as drastic as some had feared. Even more importantly, sales of comics have been falling since the 1950s, mostly due to each generation having an increasing number of leisure distractions. Here's something else to consider: The Beano is the only weekly comic listed in the circulation figures. 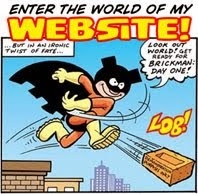 (2000AD and The Phoenix do not submit their data.) Considering that Ultimate Spider-Man sells 28,709 a month, and Toxic sells 53,000 every three weeks, I think the fact that The Beano only has seven days to shift each issue and still manages to sell 32,000 every week is an impressive accomplishment. Finally, the other factor, in my opinion, is how comics are displayed. Throughout 2013 my local WH Smith (and branches in some other towns/cities) had a curiously OCD method of shelving all the comics alphabetically in a narrow, high, shelving unit. This meant that The Beano, Dennis the Menace Megazine, and Doctor Who Adventures were on top of a 6ft high shelf, out of visibility of their target audience, whilst Toxic, Monster High, Peppa Pig and others were right at a child's eyeline. Admittedly, many retailers do have all their comics within a child's reach, so this may not be a major factor but it's worth considering. In case anyone thinks I'm bigging up The Beano because I freelance for it, well, I also freelance for Toxic. I'm not pretending that everything is rosy. It's an ongoing concern for readers and contributors that comic sales are gradually falling every year, and I'm well aware that we'll never again see the sales figures of millions that some had in the 1950s or the hundred thousands of the 1960s. I'm just saying that things aren't apocalyptic just yet. I'm going to pick up a couple tomorrow, every little helps. Mj. I've always believed lack of marketing killed The Dandy, not it's content. The Beano has adopted some of it's writers and artists and sure enough, while it's dropped readers, which isn't good news, it's certainly no calamity. I'm actually more concerned about the Dennis Megazine. Those fake comics at the top gave me a chuckle - wouldn't mind winning school dinners for life! This kind of thing would work better if it was total sales over a set period rather than per month - that'd easily put the Beano on top. And to think some comics were cancelled for "only" selling 100,000 a fortnight back in the early 90s. I'm thinking specifically about Transformers here. Yes it was down from the initial 250,000 per WEEK 6 years previous but it was holding strong. Same with Oink!, though it fluctuated a lot. I know things are a lot cheaper to produce nowadays and don't need as many sales to make a profit, but still, makes we wish for those older days. James, agreed. Even The Sunday Post didn't promote The Dandy's relaunch. THB, the figures are averages over a six month period, but that still means it's comparing sales of 6 issues for all the monthlies to The Beano's 26. Phil, yes, comics were axed for far higher sales years ago. I'm not sure why the unit costs are apparently lower now, but it's a good job they are or none of today's titles would exist. I don't remember any critics predicting Dandy style drops in circulation, only fearing it might not help sales if Beano was turned into Dandy clone. It hasn't gone that far, but one thing must be conceded: bringing Dandy artists onboard certainly hasn't helped sales. The Christmas Beano sold 45,896 in a month, which works out at only 11,474 for the equivalent of 4 weekly issues. That's hardly good. If it had been on sale for only a week, sales might have been disastrous. As for arrangement of comics in shops, most regular buyers know where to find them. Being higher up might only prevent casual buyers from seeing them. The alternative is to have them low enough for little thieves to steal the free gifts, and then the comic gets left on the shelf because nobody wants a comic with the gift missing. I remember the cynical predictions of doom if you don't. Yes, sales have continued to fall, just as sales have fallen for the past half century or more on all publications. Any solutions for reversing that long-running trend? Don't be shy. Name those predictors of doom and provide a link to them. ;) Whether falling sales are down to content or would have happened anyway is open to interpretation. Maybe it's a bit of both. One thing I do know is that sales usually drop when people stop buying something because they don't like it so much anymore. And I'm sure the same could have been said in the 1950s when sales declined after Baxendale, Law, and Reid joined the comic, but we're all better off that they did aren't we? "The Christmas Beano sold 45,896 in a month, which works out at only 11,474 for the equivalent of 4 weekly issues. That's hardly good. If it had been on sale for only a week, sales might have been disastrous." No, because we already know that the average weekly sales on The Beano were 32,000, not 11,000 for a weekly frequency. But, ok, if we apply your logic, in fairness - to put all titles on a level playing field - you have to apply that calculation to ALL the monthly comics on the list. So a quarter of their figures (if they were also weekly) would be far less than 11,000 a week. A win for The Beano then. "As for arrangement of comics in shops, most regular buyers know where to find them. Being higher up might only prevent casual buyers from seeing them." Agreed, but comics have never maintained the same bunch of loyal readers week in, week out, for years. Readers come and go. That's always been the case since comics began. The idea is to keep a title visible enough for regular AND potentially new readers to find it. Casual buyers are just as important as regular readers. "The alternative is to have them low enough for little thieves to steal the free gifts, and then the comic gets left on the shelf because nobody wants a comic with the gift missing." As I said, The Beano has hardly carried any free gifts over the last 15 months or more. Besides, it's up to the shops to prevent shoplifting, and putting stock on a higher shelf so the target audience can't see it is surely counter-productive? I'm afraid your logic is skewed. The Beano usually sells 32,000 per week on average, so that amounts to 128,000 per month. The Christmas Beano only sold 45,896 in the same period, so that's only 11,474 copies per week, which is far less than its normal average. Your comparison to other monthly comics doesn't really apply because they've never been sold weekly. I'm comparing the Beano with itself, not other magazines, and the Christmas issue sold far less well than at first would seem to be the case. 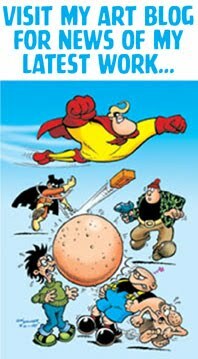 As for some comics being placed out of reach or sight of children, I'm talking about bagged comics, not the Beano, which as you rightly pointed out, hasn't been bagged for a while, the Christmas edition being the exception. Even then, in no shop I've ever been in has the Beano been placed on a high shelf. They're always in the childrens section, within sight and easy reach. 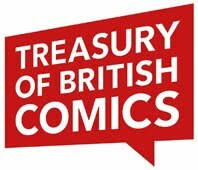 As for the 1950s, yes we are better off for Baxendale, Law and Reid, but sales of British comics then were some of the highest they'd ever been. 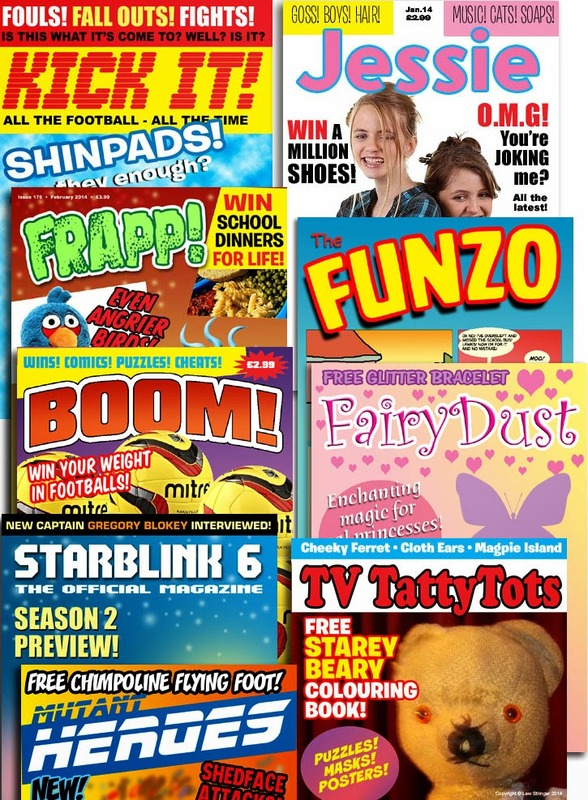 The advent of television and other distractions probably affected comic sales, which started to decline, but the same isn't quite true today because other things that children spend their pocket money on have been around for a few years now, so the situation isn't new. It's comparable to when a new television show starts; the viewing figures are higher to begin with, then trail off within a few weeks if viewers decide it's not up to much. The exact same thing happens with comics. 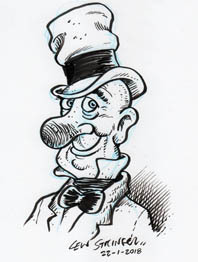 The Dandy's sales increased after its relaunch then declined as readers decided they weren't impressed. Then shops reduced their orders because it wasn't selling. That's the way it happened, not the other way round, despite the gloss that some people try to put on it. "I'm afraid your logic is skewed. 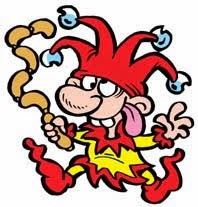 The Beano usually sells 32,000 per week on average, so that amounts to 128,000 per month. The Christmas Beano only sold 45,896 in the same period, so that's only 11,474 copies per week, which is far less than its normal average." "The advent of television and other distractions probably affected comic sales, which started to decline, but the same isn't quite true today because other things that children spend their pocket money on have been around for a few years now, so the situation isn't new." Sales have been declining for at least 60 years. It's a gradual decline. Always has been. No one would expect each generation to lose interest in comics overnight. There are always new leisure things coming along to distract kids. Don't just focus on The Beano. Look at the sales figures of all the other comics too. as the ABC figures prove, nearly every title shows a sales decline, and even those that have shown an increase are not doing so well as comics of ten years ago or more. I'm afraid children's interests have been shifting away from the old traditional loyalty to comics for a long, long time. It's not just The Beano. Of course the readers aren't going to buy the same issue four times, that's a fair point. However, that only applies to regular readers, and as you've already pointed out, "comics have never maintained the same bunch of loyal readers week in, week out" so your assumption that 32,000 of the 45,000 who bought the Christmas edition are regular readers seems slightly at odds with your earlier point. And there are a number of other factors to consider which are beyond our ability to check, such as: 4 weekly issues at £2 each would have brought in £256,000, whereas the Christmas edition, based on a £4.99 price, would have brought in around £229,000, but would have cost less to produce as far as the comic is concerned. But what about the cost of the joke pack that came with it? Unless that was dirt cheap, it surely cuts into the profit margin of money saved in producing a monthly issue instead of 4 weekly ones? For a comic which sells 32,000 issues a week to pull in only another 13,000 readers with 3 more weeks shelf life is hardly the cause for celebration that you suggest. Sure, 13,000 extra readers is not to be sneezed at, but how many of them were only buying it for the giveaway rather than the comic, and how many picked up the next issue? What you say about the gradual decline of all comics is very true, but it hardly applies to the Dandy. After an initial surge in sales, it dropped steeply, strongly suggesting reader dissatisfaction with it, which resulted in shops ordering fewer copies. And while there is always going to be a decline in most cases, I think you're stretching credibility in suggesting that none of the recently lost Beano readers is down to them disliking recent changes. Changing trends in what sells and customer dissatisfaction aren't mutually exclusive. However, the fact that sales on some titles have increased gives cause for hope. Let's hope it catches on. One other thing if I may? If the Christmas Beano had only been on sale for a week, at that higher price it's uncertain whether it would have sold more or less than usual. I know that bagged issues of other comics sometimes sell more, but they're usually priced consistently issue after issue, they don't suddenly jump an extra £3. However, making comparisons is just a bit more complex than it at first seems, don't you think? As you've said before, comics will always be around in some form or another - I doubt they'll ever really disappear. There are still masses of magazines around despite the rise of the internet - newspaper sales have declined a lot too but unfortunately the Sun and Daily Mail are still going. I answered your point but it couldn't have reached you. I wasn't saying that the Christmas issue should have sold 128,000, omly that 45,000 by comparison can't really be considered an indication of a runaway success for a comic like the Beano. I never even suggested 45,000 sales were "an indication of a runaway success". You're arguing on points I never made, but thanks for your input. A nephew (aged 8) reads the Beano (every week) - though when there is a free gift(s) he ignores the content and plays with that instead (such as the jokes at Xmas). Without gifts he enjoys the comic strips instead. I think his age is representative of the optimum age group, which I'd say is 7-11. An older nephew (now 10) used to occasionally read the Dandy, though only missed it when it was gone - a monthly issue would have been better rather than weekly, if it ever regenerates. They enjoyed Horrible Histories fortnightly, but were indifferent to Dr Who Adventures - though were intrigued for about 3 minutes by a 3-D effect. They were keen to try the wrestling WWE, but did not enjoy it, despite being popular with some of their friends at Primary School. They also sometimes like the Football weeklies 'Match'/Match of the Day and similar - which often have a 1 page comic strip and occasionally an additional 3 panel strip. A third nephew did like Ben 10 for about 5 months, but is now into collecting Skylanders figures (for a while?). When they see a new Marvel film, there is a short-lived enthusiasm for all things related to that hero, recently Thor and previously Avengers and Spider-Man. This wanes after about a month - in October one said they wanted to collect ALL the Marvel figures, then at Xmas, a present of Thor is discarded after opening the packaging! Oh how fickle art thou. Sadly my friends, who are married with 1 or 2 children in similar age groups would not buy their children a regular comic, though would an occasional special one every 3 or 4 months. Will have to try them with Toxic, as there must be something in it for the sales to go up - interesting to see DW Adentures go down relatively. Thanks Digi. That's very interesting. It's always more worthwhile to hear the reaction of the target audience rather than adult critics who just want the comics to be frozen in time. Your findings are similar to my own experiences. I suppose the way that every new movie and toy is marketed now it creates a shorter attention span for children. 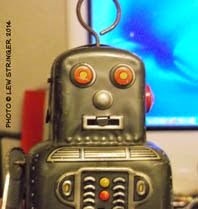 When I was a kid I remember Daleks being the in thing one year, Thunderbirds the next, and Batman the following year. There wasn't the hectic fad-for-a-month thing like there is today. Good point about a monthly Dandy. It was probably considered at one point, but I'm glad it remained a weekly for the last few years. Good to know your nephew does read The Beano. Eight is the average age I think, so he's the ideal reader. Toxic has 'gross humour' - jokes about bodily functions of the sort that boys always sniggered about, so I hope they like it. 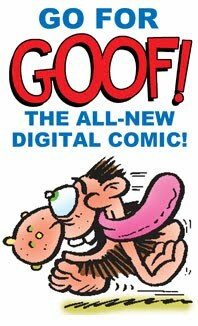 Only 4 pages of strips, with the rest being features and fun photos etc. True about the latest films & Tv shows. I remember in the '70's, playing themed games from the then 3 TV channels, as Dr Who's assistant Sarah Jane and Charlie's Angels - which were very popular back then. My friend Vanessa played the dark haired one, I was the brown haired one and I think a boy played Farrah Fawcett! Some of my classmates had Batman's (repeated at the time) cape made-up from old bits of curtain and home-made utility belts.